The latest piece of wearable tech is like an even uglier Google Glass…yeah, somehow that's possible. Instead of being a pair of glasses, this is a third eye for your forehead but the concept is similar as it can film everything you see. It's not exactly a catchy title, but it's called the 3RDi and comes from the company 3rdiTEK based in Montreal. As with a lot of these off the wall ideas, the company is an Indiegogo campaign that launched earlier this week and at the time of writing it hadn't exactly taken off.The company is looking for $250,000 funding but at the moment hasn't even broken the $1,000 mark. The idea of strapping a camera to your forehead isn't exactly fashionable or really all that useful in everyday life. Every time you tap the headband it can take a picture with the camera, but there's no word on the official camera specs apart from it has autofocus and can film full HD video. You can set it up so the pictures you take go straight to your favourite social media platform. 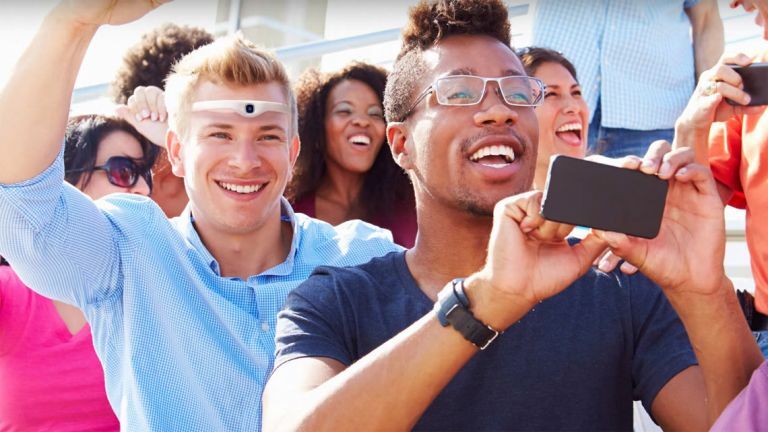 The best use for this band is likely recording video though, just slide your finger along the side of the headband to start shooting. This could come in useful while playing sports, but you're still going to look ridiculous while doing it and it's not exactly something you're going to wear all the time. If you want one, it may be a struggle. At the time of writing it doesn't look like the 3RDi is going to reach its full funding.